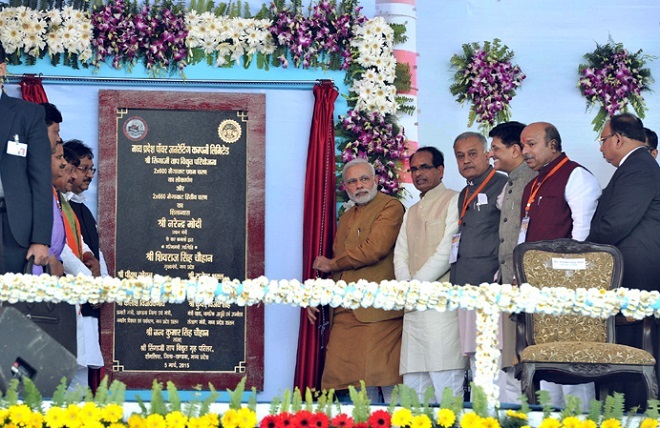 Prime Minister Narendra Modi on Thursday dedicated to the nation two units each of 600 MW of Shree Singaji Thermal Power Plant in the Khandwa district of Madhya Pradesh. Addressing the gathering, the Prime Minister said the government is committed to working on all sources of power generation and will provide electricity in every household of the country. Union Power Minister Piyush Goel and Madhya Pradesh Chief Minister Shivraj Singh Chouhan were also present on the occasion. Shree Singaji Thermal Power Plant is a coal-fired project located in Khandwa in Madhya Pradesh.